An automatic car - not to be confused with an autonomous, or self-driving car - is one with an automatic, rather than manual gearbox. If you’ve never driven an automatic car before, it can take a bit of getting used to. 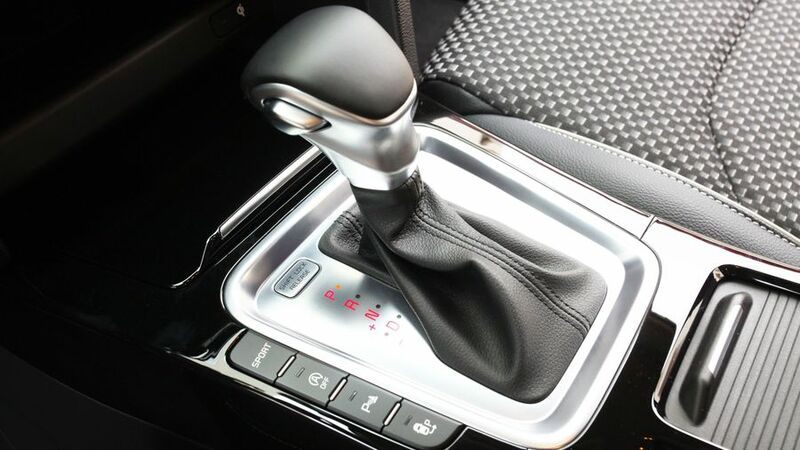 Sure, you don’t have to worry about using the clutch pedal, but if you’ve spent all your driving life with manual cars, it can be a very strange experience to not reach for the stick every few seconds. There are also a few quirks that you should know about auto life. With a rise in the popularity of automatic cars in the UK, here are our top tips on making a smooth transition from manual to auto. If you know how to drive a manual car, you’ll be familiar with the letters written on a manual gearstick. These will usually be a range of numbers – one for each gear – and maybe an R for reverse. P: Park. Move the stick here when you’re done driving. It’ll lock the gearbox, meaning that the car can’t roll away, even if the parking brake fails. Most modern cars won’t let you turn the ignition off until the gearbox is in P.
R: Reverse. Pretty self-explanatory. Engage this and the car will go backwards under acceleration. N: Neutral. The gears are disengaged, exactly as they would be if you move a manual gearbox into neutral. Don’t use this while moving, but if you’re stopped for a short period of time, you can use it instead of Park. D: Drive. This will engage the forward gears and is the default position for the stick when driving. L: Low: This will keep the gearbox in a low gear, usually first and/or second, which is useful when towing. Some gearboxes have slots labelled 1 and 2 that will hold those specific gears. M: Manual mode. This lets you shift gears manually, either using paddles mounted to the steering wheel or steering column – more about that below – or by clicking the stick, or a button on the stick, up and down. These shifting positions will usually be marked with + to shift up, and – to shift down. S: Sport. Some cars will let you select this to give the gearbox a sportier character. Typically, this will involve holding a lower gear than normal, which produces more revs in the engine and gives sharper acceleration when driving at speed. W: Winter. A setting to help move away from standstill in cold and slippery condition and avoid wheelspin. +: Shift up. Used when changing gears manually. Most automatic cars will move once they’re in Drive or Reverse. If you’ve selected a gear but don’t want to move away yet, keep your foot on the brake. Let go, and the car will start to move, even if you haven’t yet touched the accelerator. This is often known as a 'creep function'. Sometimes this will involve moving the gearstick into M mode, and then shifting by pushing the stick to the – or + positions. 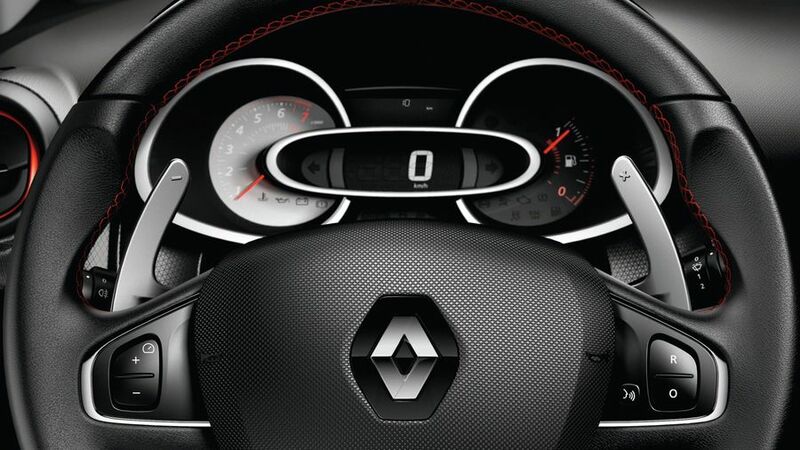 But other cars will have paddles mounted to the steering wheel or the steering column. 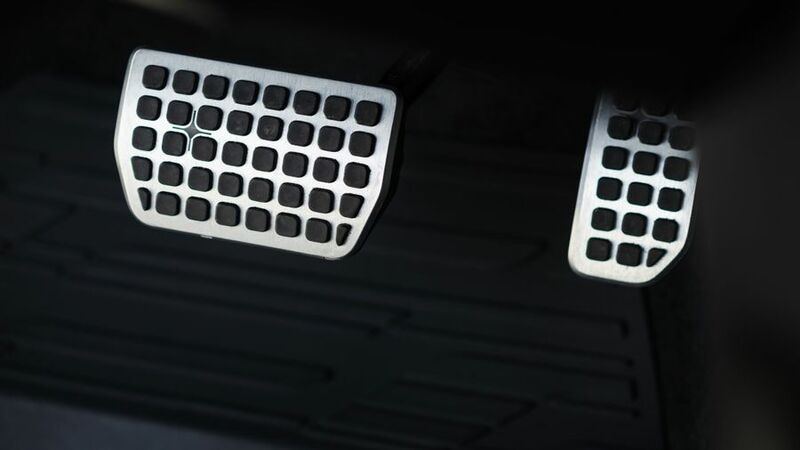 Most – but not all – cars use the right paddle to shift up, and the left to shift down. Make sure you check your car’s user manual to make sure you know what each paddle does. When driving a manual car, your left foot is used exclusively for the clutch pedal. Automatic cars don’t have a clutch pedal, so it can be tempting to put your left foot on the brake pedal instead. There are several benefits to left-foot braking, chief of which is that you can react quicker to an emergency by using your left foot, rather than jumping your right foot over from the accelerator. But, and it’s a big but, it’s important to be very, VERY careful. Your right foot is used to making fine inputs to modulate the amount of braking, but your left foot is unlikely to be that sensitive without practice. It’s all too easy, when learning to left foot brake, to stamp down far too hard with the left foot and do an inadvertent emergency stop. Which is pretty dangerous. Consequently, we would generally advise people to brake and accelerate with their right foot, until you’ve had the chance to practice effective left-foot braking on very quiet or, ideally, private roads. 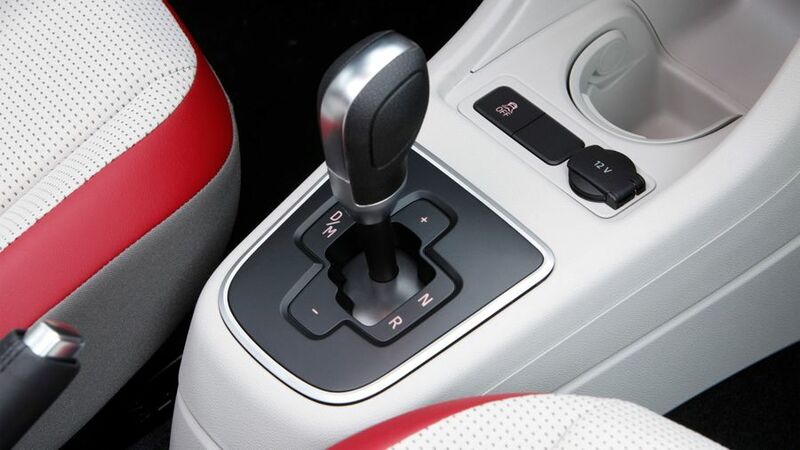 There are several different types of automatic gearbox and while, by and large, they can all be driven in the same way, some have a few little foibles that it’s worth knowing about. Torque converter: These are, historically, the most conventional type of automatic gearbox, and are generally smoother to drive than other types. However, they tend to be less fuel efficient. These days, you generally see them at the more luxurious end of the market. 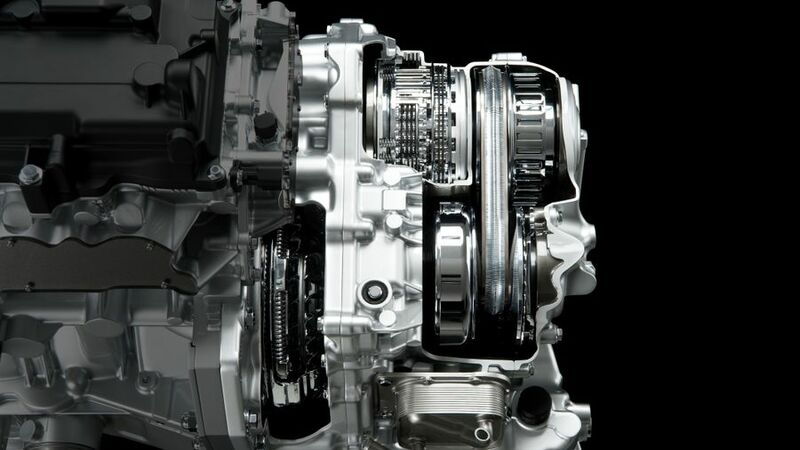 Dual clutch: This type of gearbox replaces a torque converter with two clutches which preselect gears before they’re used. This means that they’re super-fast to shift and can often be more fuel efficient than a manual box. However, they’re pretty complex, which can be a pain if they go wrong. CVT: This is short for continuously variable transmission, and calling a gearbox is technically wrong, because it doesn’t use gears. Instead of cogs, it uses a belt that rotates around a cone and is always moving to optimise power from the engine. They’re very efficient and reliable, but they’re not made for performance, and can make the engine feel sluggish and strained. Automated manual: These work a lot like a regular manual gearbox, but the clutch is operated automatically between gearshifts. They’re not as common today as they used to be, and can be a bit jerky in their shifting.